TORONTO — What about us? 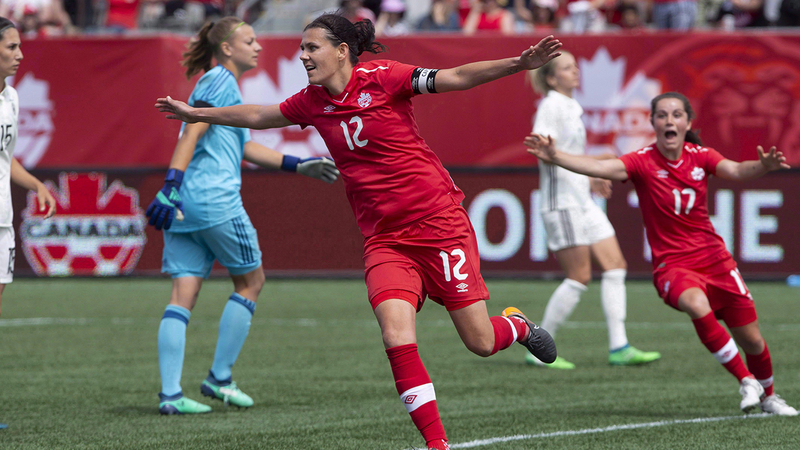 That was Canadian captain Christine Sinclair’s question Tuesday, apparently after seeing the Canadian Soccer Association’s enthusiastic social media push of the Canadian men’s game Oct. 16 against Dominica. Sinclair and the fifth-ranked Canadian women are in Texas for the CONCACAF Women’s Championship which doubles as a World Cup qualifying event. The event kicks off Thursday. "Hey @CanadaSoccerEN when do the women start their World Cup qualification tournament?" Sinclair tweeted above a Canada Soccer posting with a welcome from new midfielder Ballou Tabla with information on how to buy tickets for the men’s game in Toronto. Her message seemed to find a home. The CSA retweeted a story on the women’s tournament. Then, getting in the spirit of things, Canada Soccer tweeted: "Thanks for asking Sinc! Here’s the schedule and how CanWNT fans can watch the group stage matches! Check back tomorrow for the tournament preview! Can’t wait!!" The CSA may just have been a little over-enthusiastic in hyping the men’s contest, given the roster for the 79th-ranked Canadian men was released Tuesday. As of 6 p.m. ET, there were 16 CSA tweets or retweets on the day about the CONCACAF Nations League qualifying game against No. 177 Dominica. The women’s team got two tweets, one of which was birthday wishes to forward Adriana Leon. A CSA spokesman said more women’s team tweets were planned for Wednesday, the day before tournament kickoff. Sinclair has 95,400 followers, compared to 125,000 for Canada Soccer.